The Hollywood-based designer loves vintage, over-the-top glamour. Sonia Boyajian’s career in jewelry started at a small store in Antwerp run byPascale Masselis. The place was filled with tiny drawers and known for its vintage jewelry and precious antique buttons. Boyajian describes it as “completely opposite of mass market.” She had moved to Belgium after studying fashion at Otis College of Art and Design in Los Angeles, and fell in love with Masselis’s handmade approach. 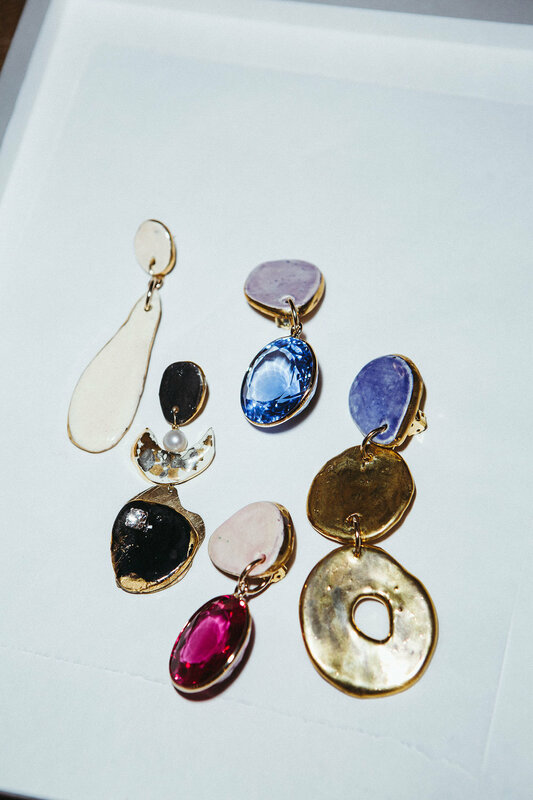 Now back in L.A., Boyajian has carried this whimsical spirit forward and built a name for herself among celebrities and art world denizens as a singular jewelry designer. Her fall/winter collection is inspired by the distinctive 20th century art patron Peggy Guggenheim. (She even posed as Guggenheim in the line’s look book.) It has drawn much attention, thus introducing her eclectic designs to an even wider audience. 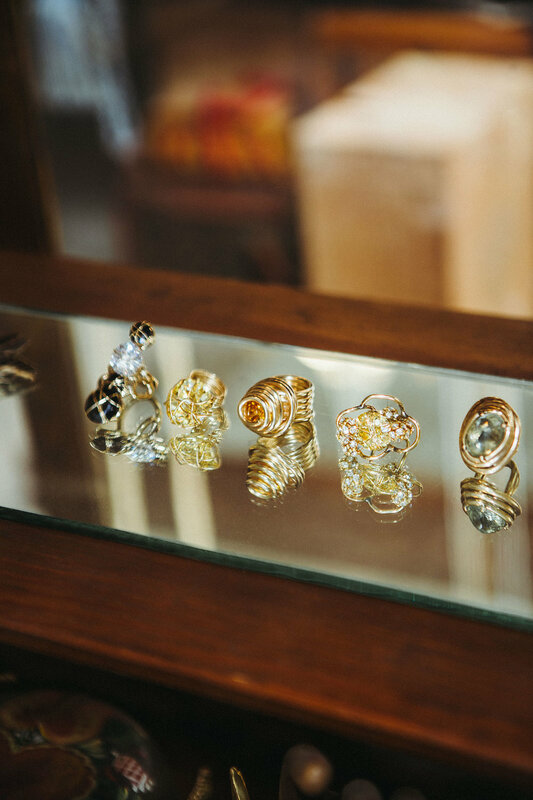 Though she works primarily in both costume and fine jewelry, the designer also produces custom work, including redoing engagement rings and updating family heirlooms. It signals Boyajian’s belief that jewelry constitutes a deeply personal experience. “It helps the wearer define their identity and becomes a part of that person,” she says. 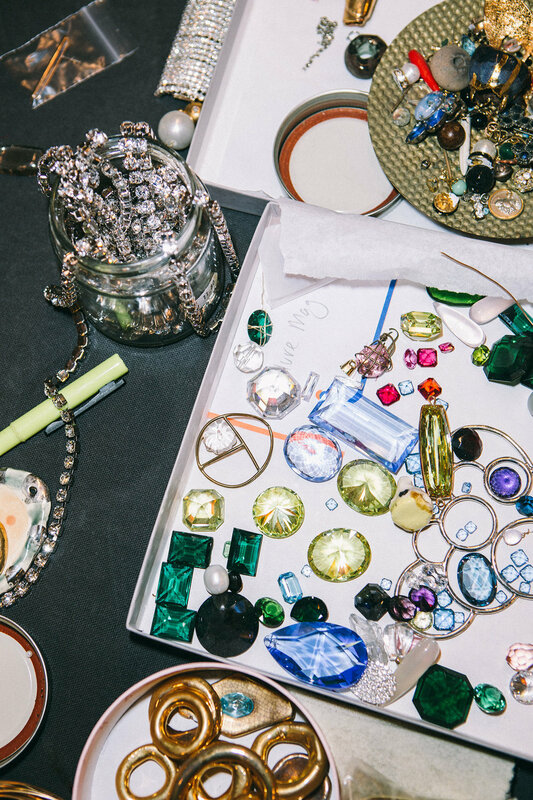 The jeweler’s space in Hollywood—which functions a cross between an artist studio and fantasy dressing room—creates a safe zone for clients to experiment amidst a 15-year archive of her work. “It’s okay to have fun, dress up, and put a tiara on,” she says, “or to just look wild.” Being with clients allows her to get to know their tastes and what they feel comfortable wearing. She involves them closely in the design process. “A lot of creative people come to me naturally because they already have a very strong sense of what they want,” says Boyajian, whose own style mixes vintage finds with friends’ labels, such as Creatures of the Wind and Eatable of Many Orders. Working against saturated markets and off-the-rack buying experiences, Boyajian understands design as something bespoke or handmade. She makes most of her own parts and assembles each piece in her Hollywood studio. She pays particular attention to the findings (the bases for gems, and the links for bracelets and necklaces), which she repeats each season. “I realized, in the end, that what makes a piece of jewelry or clothing individual are the tiny details that you keep seeing over and over again,” she says. The result? A language all her own, comprising surrealist shapes and bold stones.